Forming processes generally lead to residual stresses. Compressive residual stresses can have a beneficial impact on the fatigue life of components, which is demonstrated here in terms of a skew-rolled hybrid shaft-hub connection. 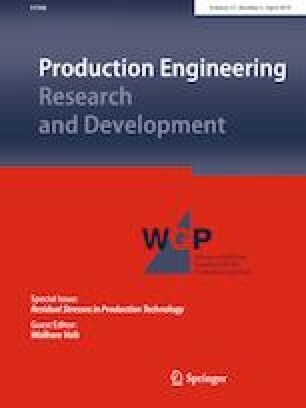 In order to set the basis for a systematic investigation of this effect, a strategy for the evaluation of the influence of residual stresses on the fatigue resistance of formed components is proposed. It involves the determination of the expectable residual stresses through a simulation of the forming process as well as a fatigue analysis. While state-of-the-art fatigue concepts assume unchanging cyclic material behaviour throughout the entire fatigue life of the component, this assumption is not adequate for residual stress-afflicted components. Hence, a generalization to transient cyclic material behaviour with an asymmetry in tension and compression is introduced. Funded by the Deutsche Forschungsgemeinschaft (DFG, German Research Foundation) within the Priority Program 2013 “Targeted Use of Forming Induced Residual Stresses in Metal Components” under the grant numbers KA 3309/7-1 and BR 3500/21-1.